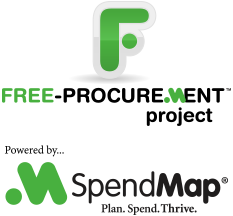 It has been two months since we announced the upgrade for last year’s release of the free version of SpendMap, so now the time has come to officially stop supporting version 11.98. Please upgrade to the latest release (v12.65). If you’re not sure which version you are using, just select the menu HELP > ABOUT. For instructions on how to update your system, from within SpendMap please select the menu HELP > CHECK FOR UPDATES. This will not actually install the update. Rather, if you are using the old version, this will expose a red hyperlink at the bottom of the Main Menu in SpendMap…just click the hyperlink to see full upgrade instructions. The upgrade utility will bring forward all your data, history, settings, etc., so you will not lose any of your work in SpendMap.